The talisman of positive reinforcement and advancement: symbolic strategy, design and the meaning of words. Sometimes, there’s more to an expression that we might at first comprehend. When I was in college, I studied Egyptology. 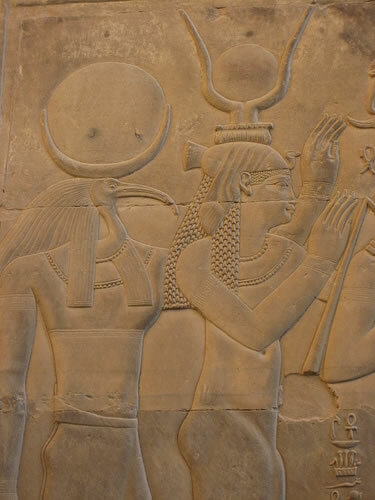 Studying the history of Egyptian art, architecture and culture leads invariably to the idea of their cultural mix of spirituality and place, temples and text, sculptural friezes and sacred procession. Studying these elements of civilization leads to the admixture of layers of exploration — one culture leads to another, the Sumerians, the Assyrians, the Babylonians. From there, north to the Macedonians, off to the Greeks, their evolutions to the Romans (and on through time, the European melange of symbolic “design” studies). The link to design thinking — and symbolic thinking — is less than ambiguous or manufactured. The very act of design — the de-scribing / de-signing of idea — is something cumulative; it’s a gathering from the cloud of experience of humanity. No designer starts alone. There is always legacy. That stringing extends throughout the ancient levant and it’s one grouping of symbols, languages and arts that find a reach far into the psyche of the ancient mind. The power of symbolism — the marking and devices of powerful substrates of cultural identity are fascinating; and they are a study in migration and psychic patterning. Symbols shift, morph, transpose and newly catalyze into new languages of perception and experience, as well as engagement. See here, the migration of the thunderbolt, speaking of good luck. Who believes? One form finds its way to another — one device becomes varied in another. That idea of the power of the symbol presumes that there is something beneath the surface, inherent in what lies in the interior of the idea, in that graphical device, the formulation that empowers something deeper than the mere superficiality of prettiness. One might say that the power of the spirit is there, resident in the mystical markings. But — too, the foundations of blessed experience are about luck. I’d written earlier about the idea of our work in the marketspace of gaming (we work on more of the hospitality, food and beverage side of the house). Extending the premise of gaming to winning “fortune” — this, too, an ancient practice, the gambling of stakes on the luck of the right tossed interpretation. Luck can be more — it’s a sign of good conditions, beneficent circumstances, but as well — favor, designed fortune or otherwise deific benevolence. I think about that, the idea of goodness. And there is goodness in the right send off — what about the talismanic expression: “good luck!” That word is unknown — to origin, it’s a mysterious phrasing: “The antecedents of luck are not at all clear. Its likeliest source is Low German luk. This is clearly a close relative of modern Dutch geluk, whose prefix ge– is found also in Middle High German gelücke (source of modern German glück ‘good fortune, happiness’). But where the element lu(c)k came from is not known.” Pardon the links, they come with the text from the etymological site (above). Turns out there’s power in that speech. Good luck means something. People do better when you say it — good luck! Don’t scoff at those lucky rabbit feet. New research shows that having some kind of lucky token can actually improve your performance – by increasing your self-confidence. “I watch a lot of sports, and I read about sports, and I noticed that very often athletes – also famous athletes – hold superstitions,” says Lysann Damisch of the University of Cologne. Michael Jordan wore his college team shorts underneath his NBA uniform for good luck; Tiger Woods wears a red shirt on tournament Sundays, usually the last and most important day of a tournament. “And I was wondering, why are they doing so?” Damisch thought that a belief in superstition might help people do better by improving their confidence. With her colleagues Barbara Stoberock and Thomas Mussweiler, also of the University of Cologne, she designed a set of experiments to see if activating people’s superstitious beliefs would improve their performance on a task. In one of the experiments, volunteers were told to bring a lucky charm with them. Then the researchers took it away to take a picture. People brought in all kinds of items, from old stuffed animals to wedding rings to lucky stones. Half of the volunteers were given their charm back before the test started; the other half were told there was a problem with the camera equipment and they would get it back later. Volunteers who had their lucky charm did better at a memory game on the computer, and other tests showed that this difference was because they felt more confident. They also set higher goals for themselves. Just wishing someone good luck – with “I press the thumbs for you,” the German version of crossing your fingers – improved volunteers’ success at a task that required manual dexterity. The research is published in Psychological Science, a journal of the Association for Psychological Science. Superstition — from the Latin, superstitiosus, from superstitionem (nom. superstitio) “prophecy, soothsaying, excessive fear of the gods,” perhaps originally “state of religious exaltation,” related to superstes (gen. superstitis) “standing over or above,” also “standing by, surviving,” from superstare “stand on or over, survive,” from super “above” (see super-) + stare “to stand,” from PIE base *sta- “to stand” (see stet). Stand over, stand strong, stand together. 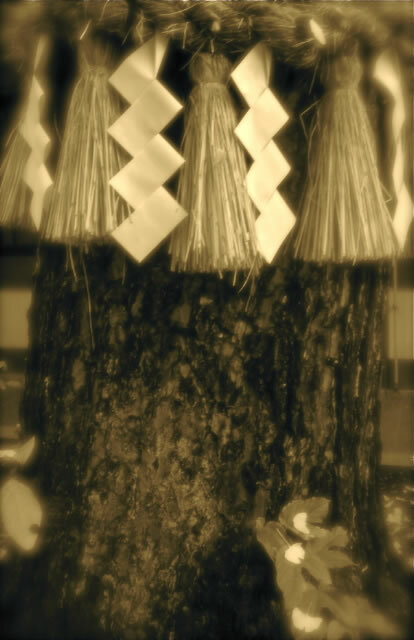 *Sacred places are typically marked with a shimenawa (special plaited rope) and shime (strips of white paper). Placed at the entrances of holy places to ward off evil spirits, or placed around trees/objects to indicate presence of kami. Made of rice straw or hemp, the rope is called nawa 縄. The pieces of white paper that are cut into strips and hung from these ropes (often hung from ropes on Torii gates as well) are called shime 注連 or gohei; they symbolize purity in the Shintō faith. ** The khamsa (Arabic: خمسة ‎, Hebrew: חמסה‎, khamsa lit. five, also romanizedhamsa and chamsa) is a palm-shaped amulet popular throughout the Middle East and North Africa. 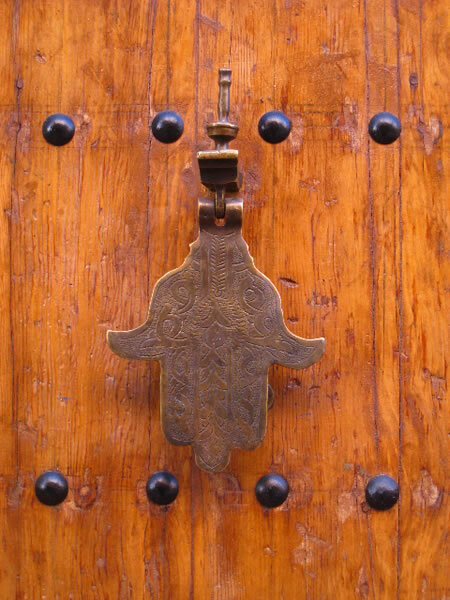 The khamsa is often incorporated in jewelry and wall hangings, as a superstitious defense against the evil eye. It is believed to originate in ancient practices associated with the Sabaeans and Nabataeans. Finding the community of brand presence | where's your brand, what's the place, what's it look and feel like -- and who cares?